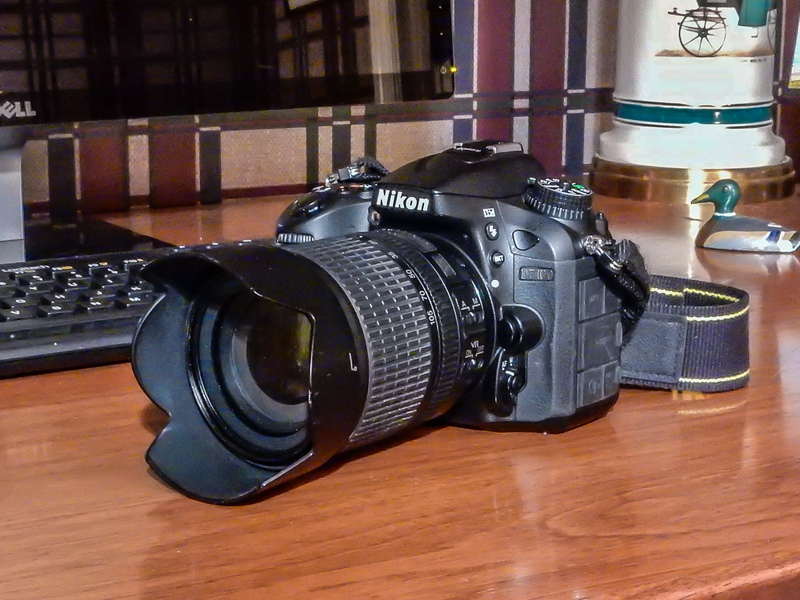 The Nikon D7100 is a high-end camera for amateurs. It has a DX format sensor with 24 million pixels with an ISO range of 100-6400 and a shutter speed of 30 to 1/800 sec shutter speed. The D7100 can shoot up to 6 frames per second and uses JPEC or RAW formats. This camera also does bracketing. This means that it will shoot multiple photos at different settings. For example: if my post mentions that it was taken in three shots, the bracketing mode took three exposures at different settings. Usually one at normal exposure, one +2 stops and one -2 stops. This provides a wider range of light than a single exposure and provides more data for a richer photo. I like this camera because it works well in low light situations. It also has a special mode to magnify an image so that your telephoto images are enhanced without going to a higher focal length lens. It handles noise better than most comparable cameras. All things considered, this is a very powerful camera for a low price!